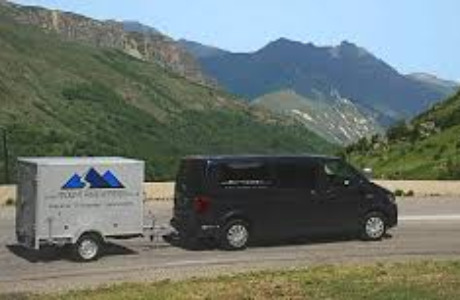 A "proper" driving job in the French Alps in a recent 4x4 VW Caravelle tiptronic T6. Plenty of hours for those that want them or plenty of time off for those that want less hours. We are seeking responsible and reliable professional drivers to join our expanding team of returning drivers. With 16 returning drivers this says all you need to know about how good it is to work for Mountain Express!. 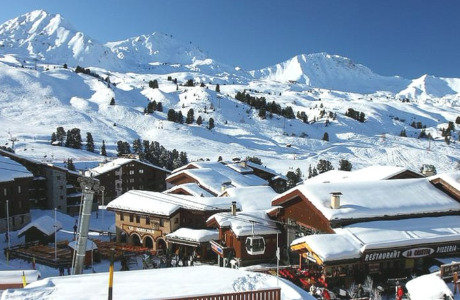 Various packages available including SINGLE ROOM in a large apartment in Les Menuires shared with the rest of the team or organise your own. We understand your motive for seeking seasonal employment in the Alps is to experience the fun and flavours of life both on and off the slopes and we very much hope you will enjoy your time with us in the mountains however, this is a responsible position which requires a responsible attitude. Airport transfers & local shuttle runs in a long wheelbase 4x4 VW caravelle minibus. Lifting, carrying, loading and unloading luggage including skis, snowboards and other heavy items. Handling cash payments directly from customers (however most customers pay on-line by card). Processing clear, accurate and tidy paperwork logs and float forms. Scheduled vehicle checks (oil/water/tyre pressures) and supervised light vehicle maintenance (wheel rotation/parts replacement). Vehicle cleaning and valeting to a high standard. On a typical weekend you would normally be required to make two return journeys each day between resorts and airports which can easily total in the region of 500 kms (approx. 300 miles) per day on a busy Saturday and maybe occasionally the same on Sunday. If you have a responsible attitude and are ready to work hard when you’re on duty and your main leisure focus when off duty is to ski/board and enjoy a relaxed and friendly social scene rather than partying hard every night then we’d like to hear from you. A flexible "can do" attitude to everything with nothing ever being too much trouble or "not my job!" Excellent interpersonal skills & personal hygiene essential. MOUNTAIN EXPRESS provides competitively priced Private Airport Transfers linking Geneva Airport, Chambery Airport, Lyon Airport, Grenoble Airport, Moutiers Station and surrounding cities to the Alpine resorts of the French MOUNTAIN EXPRESS provides competitively priced Private Airport Transfers linking Geneva Airport, Chambery Airport, Lyon Airport, Grenoble Airport, Moutiers Station and surrounding cities to the Alpine resorts of the French Rhone Alpes. 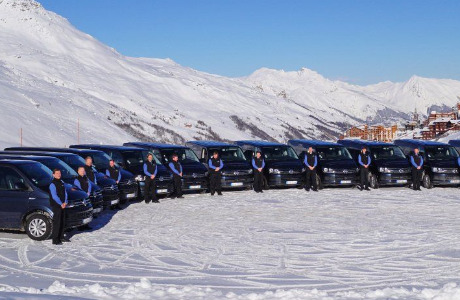 Our vehicle pool consists mostly of VW Caravelle 4x4 minibuses driven by experienced, mature drivers. Our mission is to provide an exceptional level of service at a competitive price.